If you remember, the Sokovia Accords split the Avengers in two. It created a rift between the two leaders of the group, Captain America and Iron Man, as well as the rest of the team. In fact, we see the two groups battling it out in Captain America: Civil War, with the aftermath causing Captain America’s group of heroes to stay underground and battle it out on the edges while Tony and his Avengers worked alongside the Government under the new registration act. There was a lot of bad blood between the two heroes on a personal level. 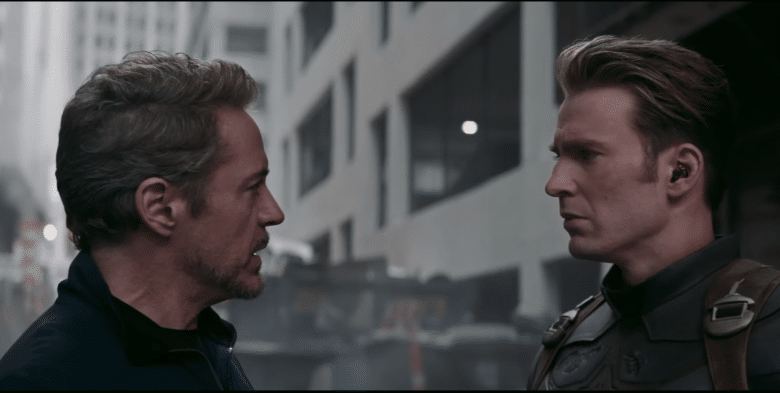 Now the fans have lost their mind after seeing the two heroes reuniting in the new Avengers: Endgame trailer. Also Read: ‘Captain America: The Winter Soldier’ Fans Are Going Crazy Over This Fight Scene! The new footage showcases three different scenes with the two heroes alongside each other. The first scene was during a meeting in their war room where most of the remaining heroes are looking towards someone offscreen. It features Cap and Tony side by side! Later in the second scene, we see Cap, Tony, and Thor walking towards Thanos, presumably on Titan. This particular scene has also received rave reactions. The scene that is causing the most hype, is the one between Tony and Steve. The two are spotted in the city and seems to be heading into battle. Cap then says “I do” and the two shake hands, bringing together two of our favorite heroes once more. It’s been a long journey here and we are loving this moment. The official description for Endgame can be found below. Avengers: Endgame is all set to hit theatres on April 26.